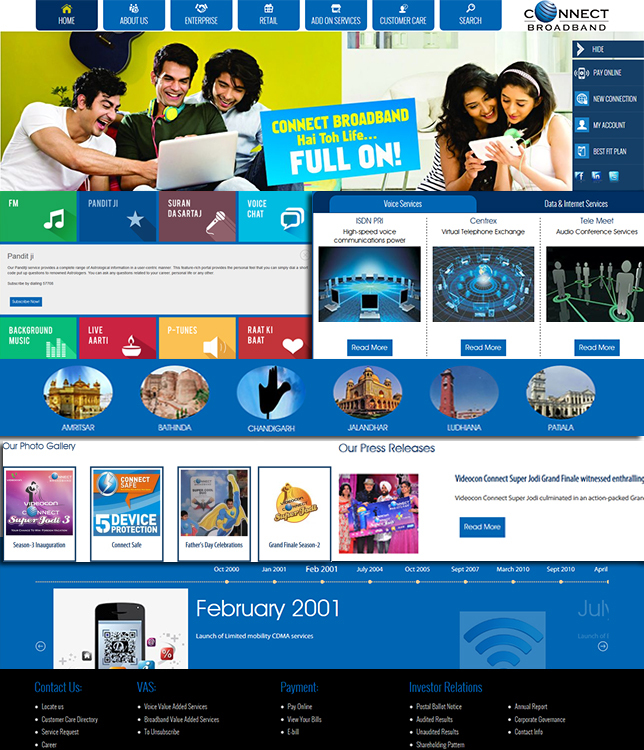 Connectzone is one of the largest internet providers in Punjab, India. Their ageing website needed a revamp, and brought into the era of web 2.0. We were tasked with rethinking every aspect of the website, from its sitemap, to its design, to filtering content. The technologically most complex aspect of the development was integrating Connectzone's existing API's with our system, both of which were developed in different system technologies. With the beta roll out last month, we are now working through continuous maintenance to keep the servers and the website in tip top condition. Requirement Assessment - A major website, for a major industry player had to be among the best websites on the internet. A meticulously planned layout, sitemap, and menu structure that allowed for both ease of use, as well as Search Engine Optimization were key to this project. 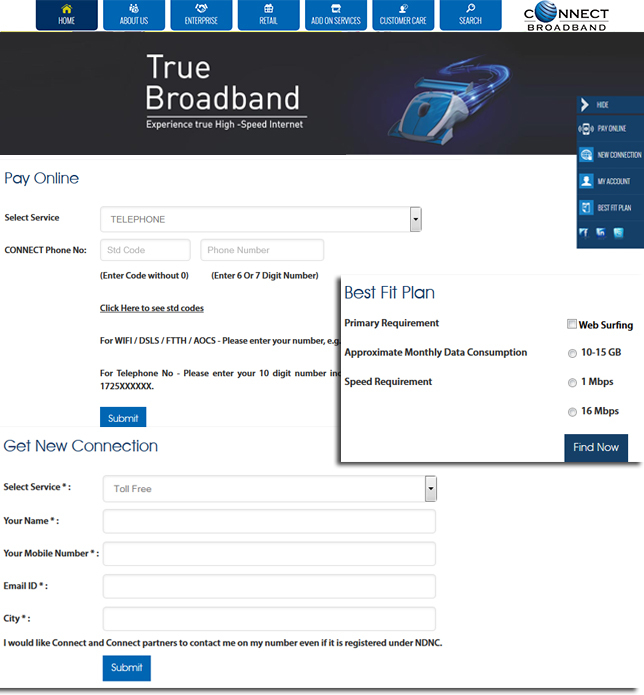 We took into account various TRAI regulations that required us to provide specific pieces of data on the website. Further, ensuring that the mobile version of the website was usable, and not an advertisement gimmick, was of great importance. Secure E-Commerce Portal - A safe, secure and easy to use payment portal was implemented to ensure that the user's process from fetching bill related information, to bill payment were seamless and secure. Integrating our new system with Connectzone's exiting API's was an interesting challenge that our developers faced, and succeeded in overcoming. Content Management System - A complete content management system that allows the Admin to control regularly updated sections of the website has been put in place. 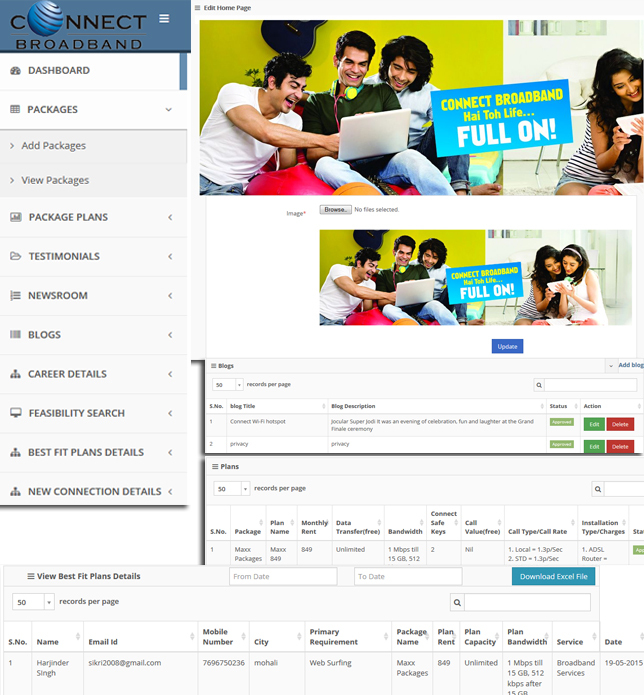 Using the Graphic User Interface, the user can change everything from icons, to banners on various pages. Control over which icon links to which page can be found across the Content Management System. Adding blogs, images and media entries is as easy as using Microsoft Word.